Gilco is one of Japan’s oldest candy companies, and is home to the popular Glico caramel candy as well as the legendary Pocky. For about 80 years now, inside the Glico caramel candy boxes there is a small toy called “Omake of Glico” (Small gift of Glico). It started off as little toys kids would love such as toy cars and rockets. 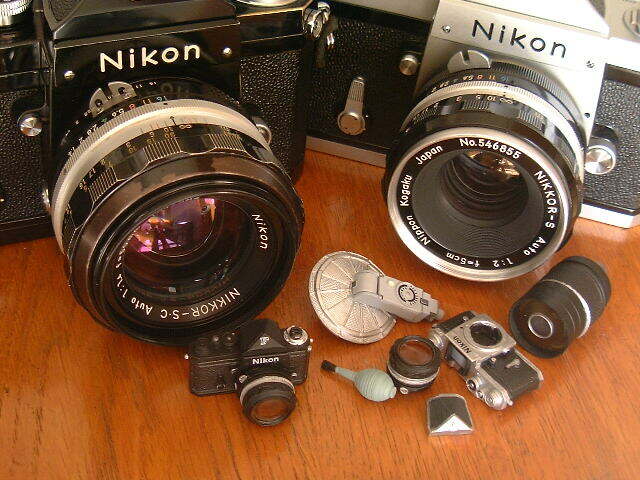 It soon came to include miniture models, such as this Nikon F SLR camera that would melt the hearts of adults as well. What’s so crazy about this is the level of detail. 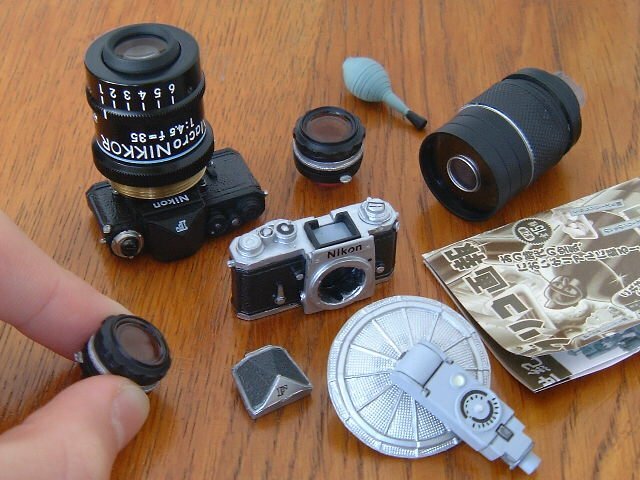 While the cameras obviously don’t function, the above picture shows a real MACRO Nikkor 35mm F4.5 lens mounted to the mini-model.